Romancers and singletons alike are welcome to treat themselves to a selection of luxurious overnight packages this Valentines at K West Hotel & Spa. It doesn’t matter if you are a loved-up romancer seeking a city getaway or a solo saint in need of some “me time”, you’ll find all your needs satisfied at K West this February 2019.
Who needs a lover when you have friends right? K West’s Pal-entines package is ideal for friends looking to spend some quality time together this Valentine’s Day. This friendly package includes an overnight stay with English breakfast, two Valentine’s cocktails in Studio Bar and K West’s Glam Squad at your ready with a pampering manicure and pedicure. Guests will also have access to K Spa’s Wet Spa which features the Snow Paradise, a Hydrotherapy pool, Sanarium, Sauna and an aromatic herbal Steam room. Priced at £289. Saucy singletons can experience some good vibrations and spice things up with a romantic night in with a battery powered friend in a Junior Double room. We’re not suggesting you go out to dinner with your new buddy but how about an overnight stay with a Valentine’s cocktail and English breakfast the following morning? Priced at a cheeky £185. K West’s Stupid Cupid package is perfect for couples looking for a romantic retreat in the heart of West London. 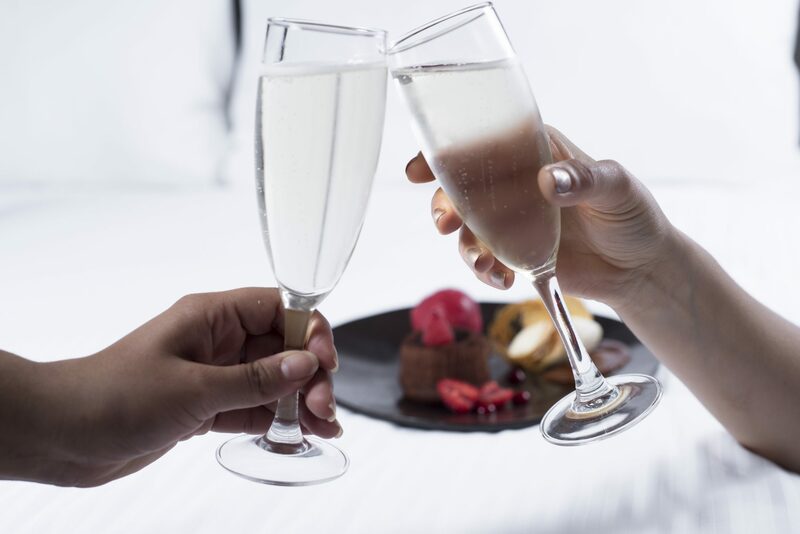 Get in the mood with a Valentine’s Dinner for two including before retreating to a luxurious Executive Room for an overnight stay. Enjoy a delicious English breakfast and Bubbles the next day before a day of shopping at the nearby Westfield with a VIP Pass. Priced at £289. K West Hotel & Spa’s vibrant ambience is fused with ultimate relaxation in a prime location. Situated in Shepherd’s Bush, the hotel is on the doorstep of Westfield shopping centre and fashionable areas of Notting Hill, Portobello Road and Kensington are also just a short walk away.